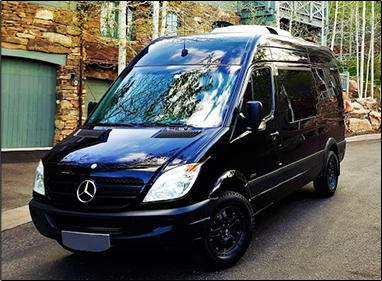 Black Diamond offers several types of luxury transportation services in and around Vail and the Front Range. Our Mercedes Benz Sprinter offers premium style and comfort, with plenty of room and entertainment options. Black Diamond's private limo van can fit up to 14 people, call today to find out more!